2018 was the year artificial intelligence (AI) became a technology businesses of every size could no longer ignore. It finally made the move into the mainstream, automating an incredibly broad range of functions and becoming an accepted part of the interactions consumers have with companies on a daily basis. That has laid the foundations for AI adoption to continue to accelerate in 2019, but what breakthrough business applications do we expect to see over the next year? One area where we expect to see AI make a step change in 2019 is in the world of HR. There’s certainly no substitute for the understanding ear of an HR manager when it comes to the soft side of the function, but there’s plenty of room for a little unbiased assistance in the hiring decisions businesses make. According to a recent survey, 2-in-5 hiring managers spend less than 60 seconds looking at a CV and 39 percent admit the interview and assessment of a candidate’s skills could be improved. One solution that’s expected to gather pace in 2019 is to allow AI-based algorithms to scan large volumes of candidates’ CVs to search for skills and experience that match the requirements of the role. AI can also be used before and after the interview process, reviewing transcripts or audio content to search for the potential missed signals that a candidate would fail or succeed if they were given the job. In 2018, we started to see the arrival of prebuilt AI solutions to the market, which are designed to make it much easier for smaller businesses without the necessary resources in-house to adopt AI. Powerhouses like Google, Microsoft and Amazon all released MLaaS offerings in 2018, but 2019 is the year when a host of smaller providers follow suit. The tools we expect to see include data visualization, APIs, natural language processing, deep learning, face recognition and predictive analysis. The main benefit associated with these services is that small businesses will be able to benefit from AI applications immediately, without having to make a substantial investment in technology or resources. One of the longstanding concerns about the rise of AI is the impact it could have on jobs. However, by the end of 2019, research from Gartner suggests that AI will actually create more jobs than are lost to automation. Two professions that are expected to take a hit include warehouse workers and retail cashiers, who could continue to be replaced by wholesale automated technology. However, many other industries are hiring human professionals to work alongside using AI, using the AI to assist with repetitive tasks while leaving the decision making to the humans. 2019 is set to be the year when ethics and AI meet. To be adopted en masse by businesses and private individuals, AI needs to be truly trusted. At the moment, most of its workings seem unfathomable and secretive and individuals are unaware of exactly how their data is being used. To build trust in AI systems, there has to be an increased emphasis on implementing measures that are designed to improve transparency. In 2018, IBM unveiled technology designed to boost the traceability of decisions that were being made by its AI OpenScale platform. It gives users insight into what decisions are being made, why they’re being made and the potential for bias in the information. Working towards transparency, particularly in light of the recent General Data Protection Regulation, is expected to be a big push for AI in 2019. 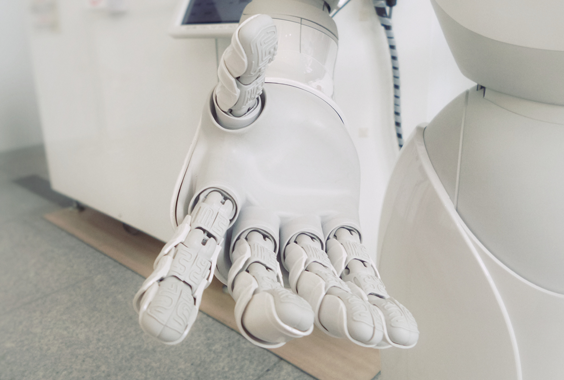 As we continue into 2019, we can expect to see AI become more powerful and prevalent than ever before, with a range of new applications and challenges as well as an added emphasis on checks and balances. We’ll have to wait and see the extent to which these predictions come true later on in the year.